The heavy duty background support systems have been developed and built by JTL. These systems meet the special requirments of photographers who demand a device that has convenient operation and durability. 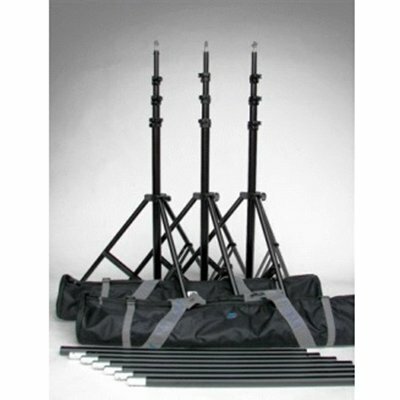 Stands extend to 10'6" high. 4 crossbars (included) together are 20'6" wide.